EUR/USD is languishing near the lows of the year, dogged by poor eurozone growth prospects and meagre EUR interest rates. We are still bullish EUR/USD in the medium term, but it looks like the rally will happen later and be less powerful. One big surprise is that EUR/USD has enjoyed very little support from the sharp narrowing of EUR:USD interest rate differentials over the last few months. Given that EUR rates are rock bottom, this is really an issue of the dollar surviving the sharp decline in US rates. So what’s going on? As we highlight below, it seems as though interest differentials are increasingly driving EUR/USD at the longer end of the curve. 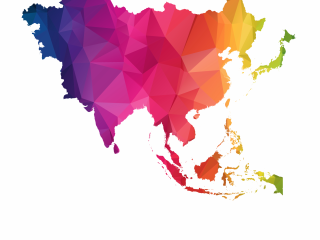 With short term rates now looking pretty anchored on both sides of the Atlantic (the ECB’s forward guidance into 2020 and the Fed with a symmetrical bias for the time being), it may well be that all the action occurs at the long end of the curve. The problem is that even at the long end of the curve, rates are increasingly moving in sync. Thus the big drop in European rates after the dovish ECB and poor Eurozone data had a significant impact on US rates as well. 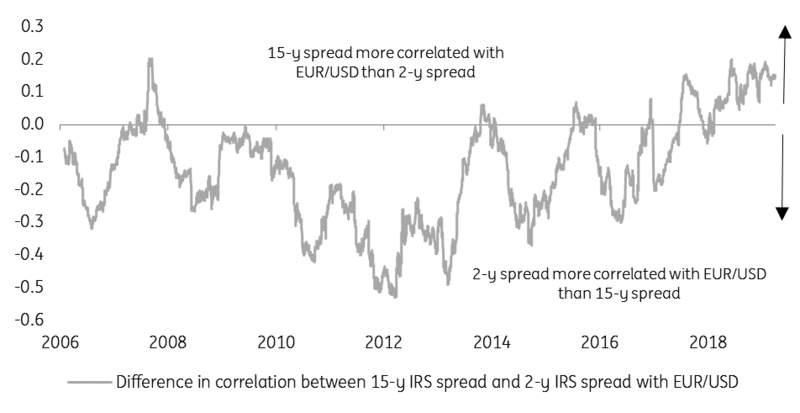 Lower volatility in these spreads is reducing FX volatility, where EUR/USD traded option volatility is at the lowest level since 2014. The lower cost of option volatility is good news for businesses looking to hedge EUR/USD exposure. 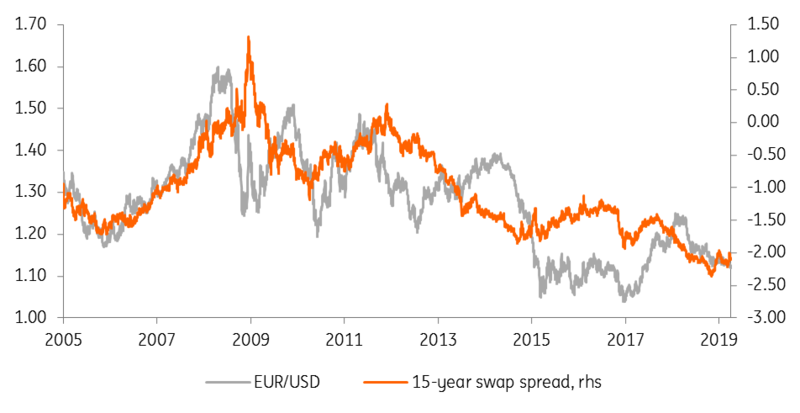 Also, the fall in EUR/USD spot and the narrowing in two-year spreads provide historically attractive levels to sell dollars forward – and expensive levels to buy dollars. While we are bearish on the dollar in the medium term based on twin deficits, the weak eurozone position places the burden on the US to define the EUR/USD trend. Do we really know when the US will slow enough such that two year US rates start to trade 50bp under Fed Funds ahead of an imminent Fed easing cycle? The answer is probably not. With the impact of rate differentials generally on the wane, it is probably also worth checking in on the eurozone Balance of Payment position – to get an update on flows. As highlighted below the Basic Balance (the current account plus net FDI plus net portfolio flows) is actually looking more positive for the EUR. 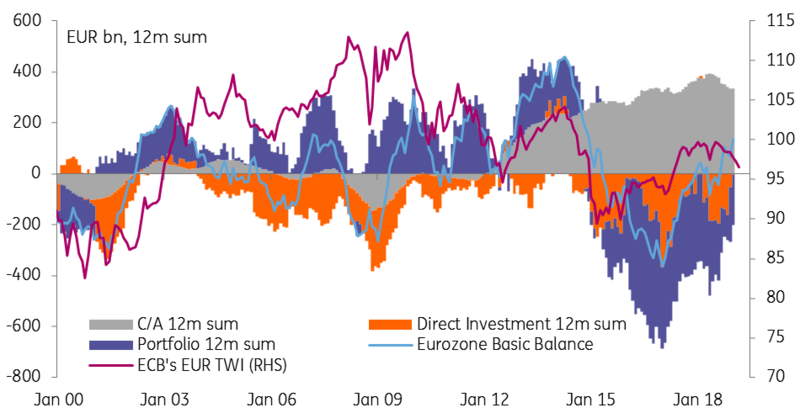 However, to get the kind of powerful Basic Balance position that can drive EUR substantially higher, we need to see portfolio flows to cross back into positive territory (which hasn’t been the case since the ECB started QE in 2015). Unless eurozone growth can prompt a re-rating of European equity markets or longer-tenor debt spreads move substantially against the dollar (probably via lower US rates), it is hard to see EUR/USD breaking out of a 1.10-15 range in the next 3-6 months. 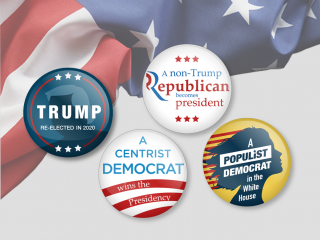 We are thus downgrading our end 2019 and 2020 forecasts to 1.18 and 1.25 respectively.